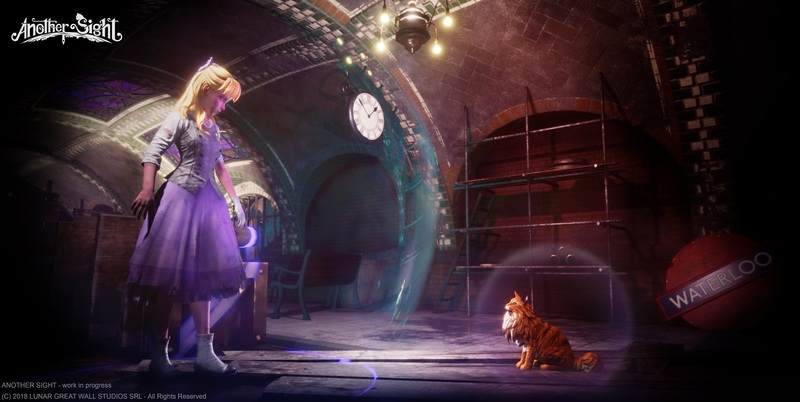 Last week, Solar Sail Games and Curve Digital announced that Smoke and Sacrifice (an open-world, narrative-driven survival RPG) will be released on May 31st in Europe and North America. It will cost 24.99€ / £19.99 / $24.99, but will be available with a 20% off discount during the first 2 weeks! Not all animals are a threat in @SolarSailGames' #SmokeandSacrifice. With the right items, some can be tamed to fight by your side. 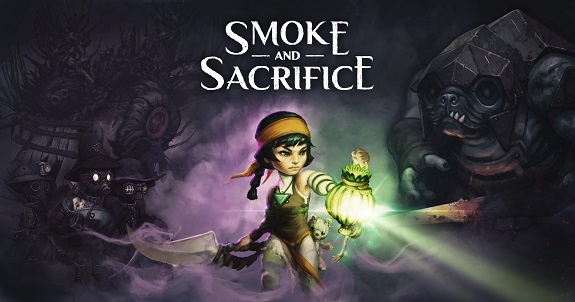 Smoke and Sacrifice (Switch – eShop) comes out on May 31st in Europe and North America. The Upcoming Games page has been updated! Last week, during the LiveWandered Ver. 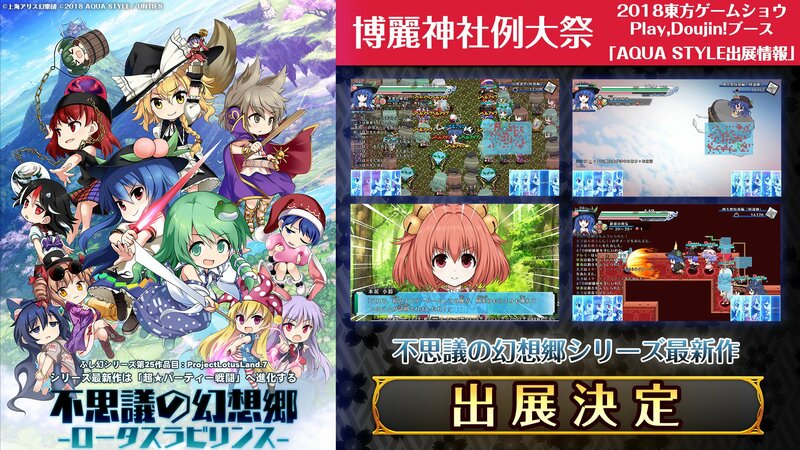 2.0 event, the latest entry in the Touhou Genso Wanderer was announced by Aquaplus. It’s called Touhou Genso Wanderer: Lotus Labyrinth, and it’s coming to the Nintendo Switch. Touhou Genso Wanderer: Lotus Labyrinth (Switch – eShop) does not have a release date yet. The Upcoming Games page has been updated! Last week, Petite Games and Ratalaika Games announced Inksplosion for the Nintendo Switch. It’s a twin-stick shooter releasing this week in Europe and North America, that will cost 4.99€ / £4.99. Inspired by both modern and old school shooters and from the developers behind Midnight Deluxe and 36 Fragments of Midnight, InkSplosion is an arcade delight that is simple to learn, yet hard to master, thanks to endless levels that are decorated only by your colourful ammunition. Inksplosion (Switch – eShop) comes out on May 11th in Europe and North America. The Upcoming Games page has been updated! A few days ago, Atooi announced that their upcoming football/soccer game, Soccer Slammers, would offer support for the Video Capture feature at launch. Unfortunately, it turns out that particular feature will have to be added via a Software update after launch, due to a technical issue. It’s not clear what this issue is about, all we know is that the game will have to be submitted to Nintendo without Video Capture. Soccer Slammers (Switch – eShop) does not have a release date yet. Shakedown Hawaii (Switch / 3DS – eShop) does not have a release date yet. Hyper Sentinel (Switch) comes out on May 11th in Europe and North America. Feudal Alloy (Switch – eShop) comes out this Summer in Europe and North America. Planet Alpha (Switch – eShop) comes out later this year in Europe and North America. Sneaky Ninja (Wii U – eShop) does not have a release date yet. Another Sight (Switch – eShop) comes out later this year in Europe and North America. Crazy Justice (Switch – eShop) comes out later this year in Europe and North America.